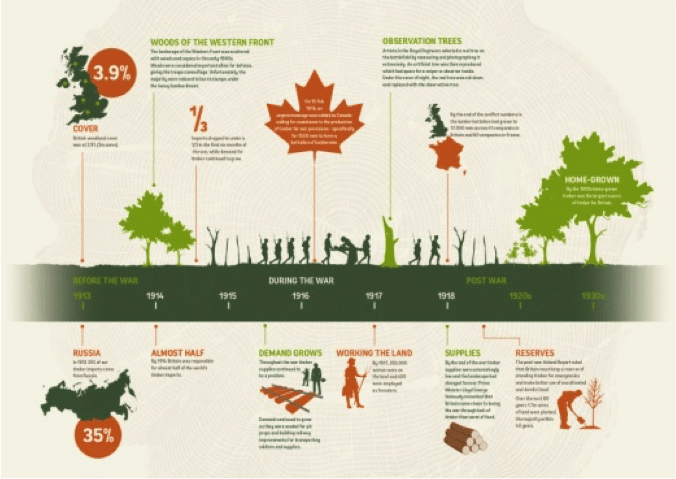 Under the auspices of the Woodland Trust, Brackfield Wood, which stretches alongside the River Faughan, just outside Derry is the location of Northern Ireland’s the First World War Centenary Wood. It is a flourishing, respectful and lasting reminder of those lives lost, from across the island of Ireland, during the war. 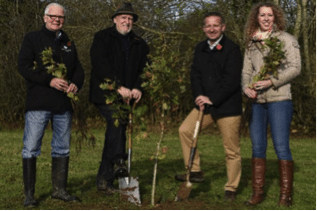 Still in its infancy, 40,000 trees will be planted in Brackfield Wood, paying tribute to those who lost their lives across the island of Ireland during the First World War. Some 22,000 trees have been planted already with the help of the local community. An information hub will welcome visitors to the site and a special memorial area will provide a poignant place for reflection and remembrance, overlooking the River Faughan amongst carpets of wildflowers. 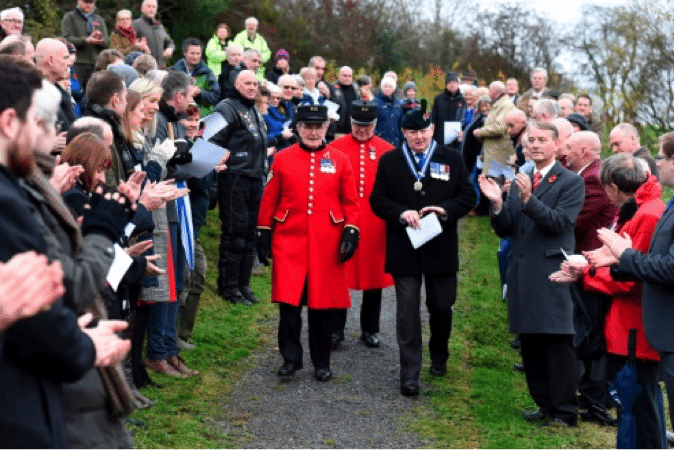 On 11 November, 2017, Chelsea Pensioners Walter Swan and Eddie Reid, accompanied by Thomas Hill, Chair of the Waterside Royal British Legion Branch, took part in a poignant tree-planting ceremony in the Brackfield Wood. During the month of February, 2018, a new poetry collection was launched by local writer and poet Mr Sam Burnside, paying tribute to the Centenary Wood. Extracts from some of the poems will form a poetry trail at Brackfield Wood. It is envisaged that eight stone sculptures, strategically placed and each carved with lines of poetry, will lead visitors into and through the wood, finishing at a central commemorative feature. On 05 April, 2018, at a meeting held Dublin, with the Woodland Trust and the Royal British Legion, the Military Heritage of Ireland Trust fully endorsed the Burnside Wood project, and will be visiting the project on a mutually acceptable date.